Fishing getting into full swing now. Had a good bluefin tuna season in January. Will post pictures soon on the tunas. February and March, we've been catching a lot of black bass from 5 miles out to 30 miles. Been to the gulf stream the past two weeks and have been catching nice wahoo and yellowfin tuna. 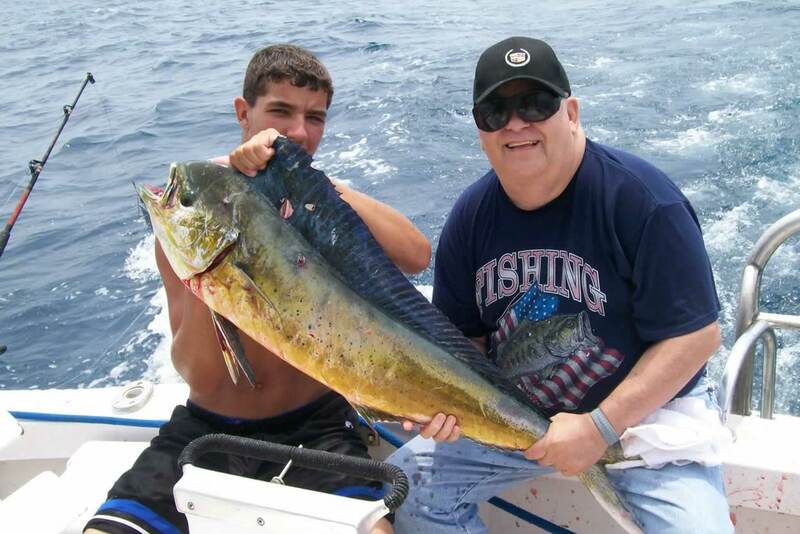 It's time to book for the next two months for gulfstream fishing because the fishing out there will be phenomenal. 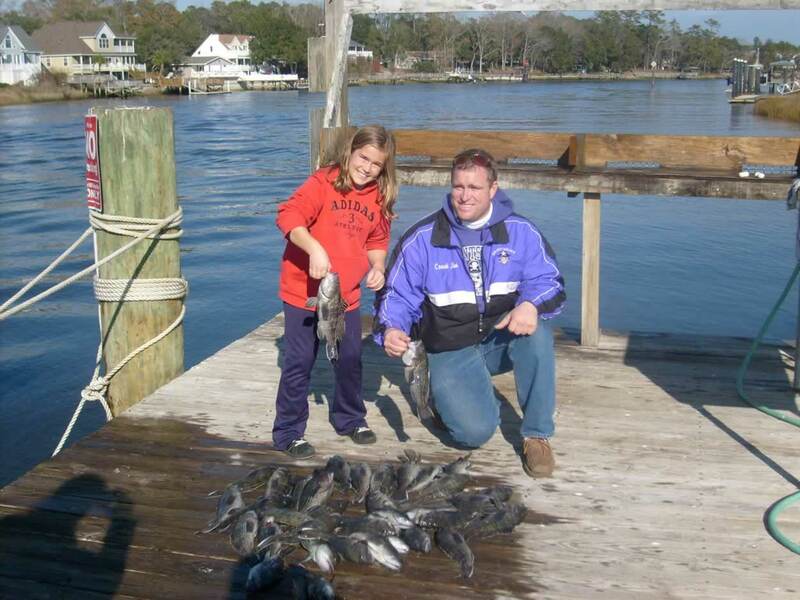 1/2 day and 3/4 day trips are showing black bass and little tuny have started biting good on these inshore trips. Will be posting pictures of gulfstream trips soon also. 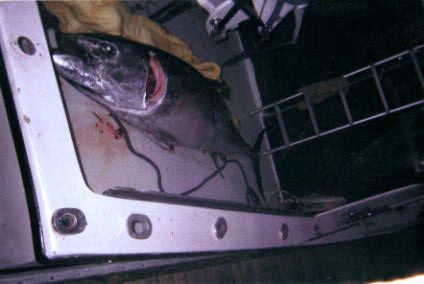 13 year old Marcienne Anderson pulled in this 5ft, 45 LB Wahoo while trolling in the Gulf Stream off of Myrtle Beach, SC on 29 April 2007 aboard the "Fish Hook." 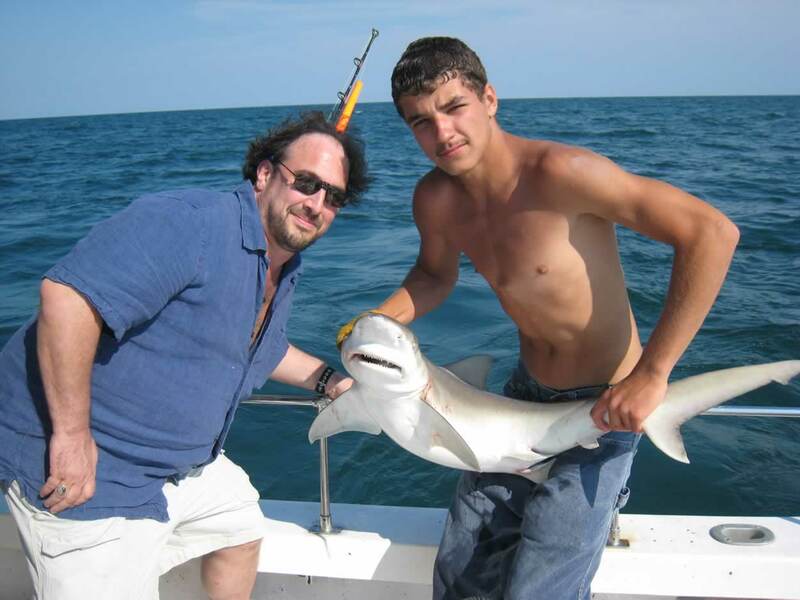 His Mom, Maruquel, got a keeper also and his Dad, Marc, holds up a nice Bluefish. 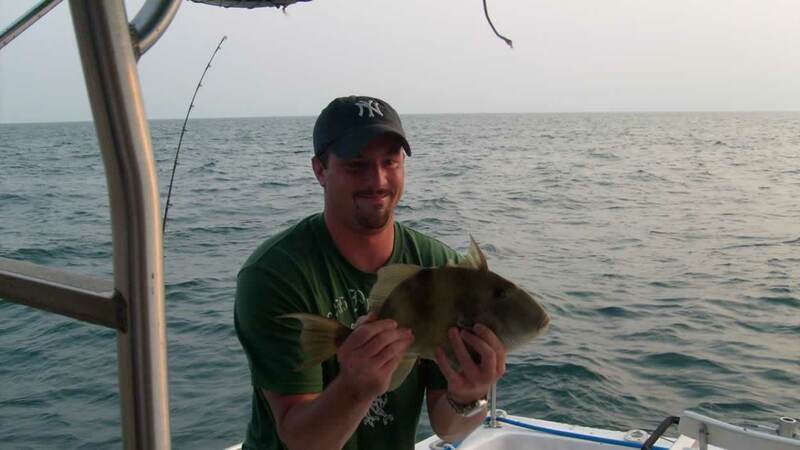 fishing is in full swing right now in the Gulf Steam trolling trips.Closer to the beach we have been catching alot of sea bass grunts and sharks.On the off shore side in 100 foot of water good catches of snapper and grouper. 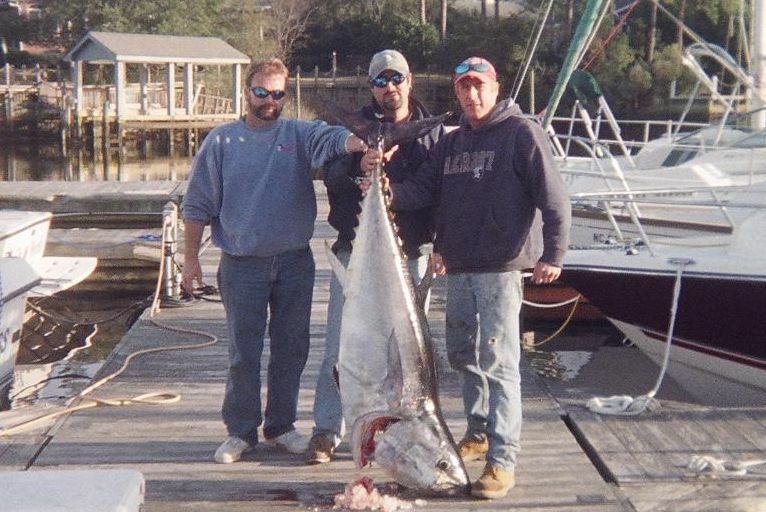 Old picture from bluefin tuna back in January 2007. Haven't been posting a lot of pictures because I've been too busy fishing and camera died. I'm waiting for my charter people to send me pics. 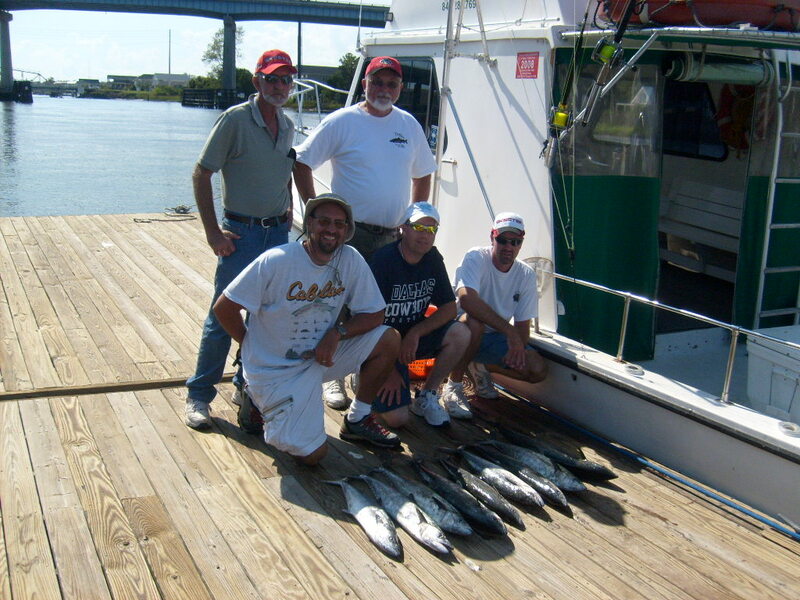 Fishing has been really good for bottom fishing and trolling trips. 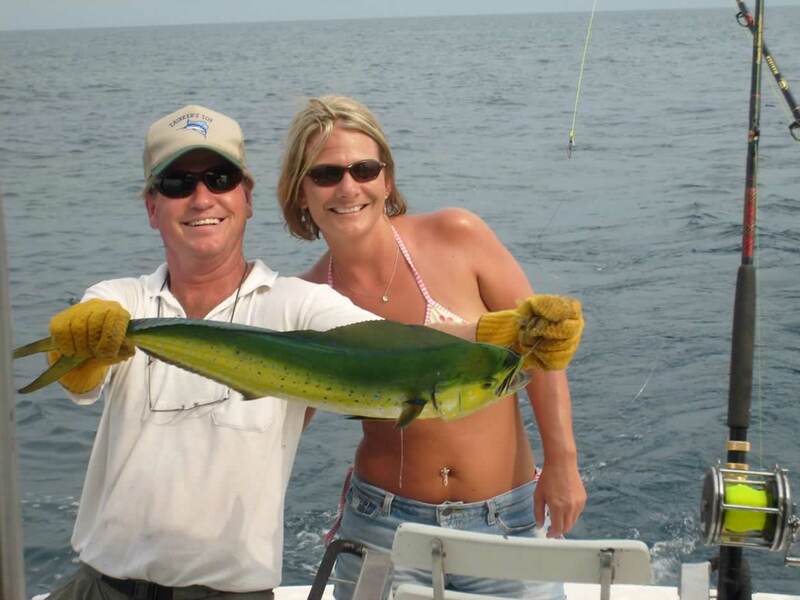 Trips in May and June to the gulfstream yielded large catches of mahimahi and wahoo and king mackeral. Here are some pics of my recent trips. Ive been doing a lot of bluewater trips this month. 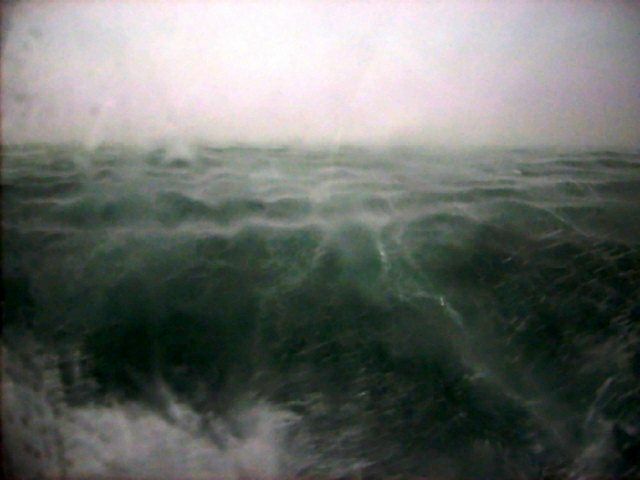 This is a pic of Dolphin. Big sharks on the beach. Caught a big tiger last week on 1/2 day trip 8 1/2ft long with black tips biting good too. Big bad sharks on the beach on 1/2 day trips. Still catching Dolphin out on Gulf Stream trips and some nice King Mackeral. 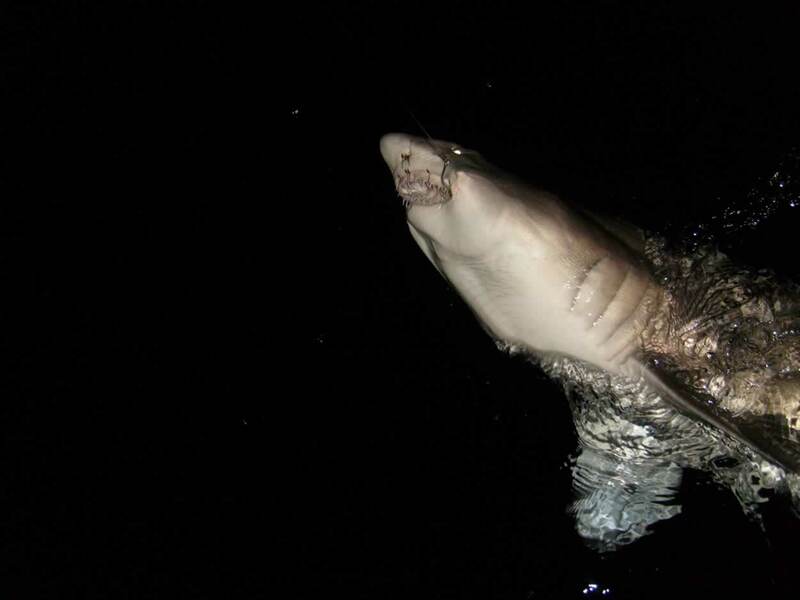 Inshore sharks doing good. Fishing still doing good. 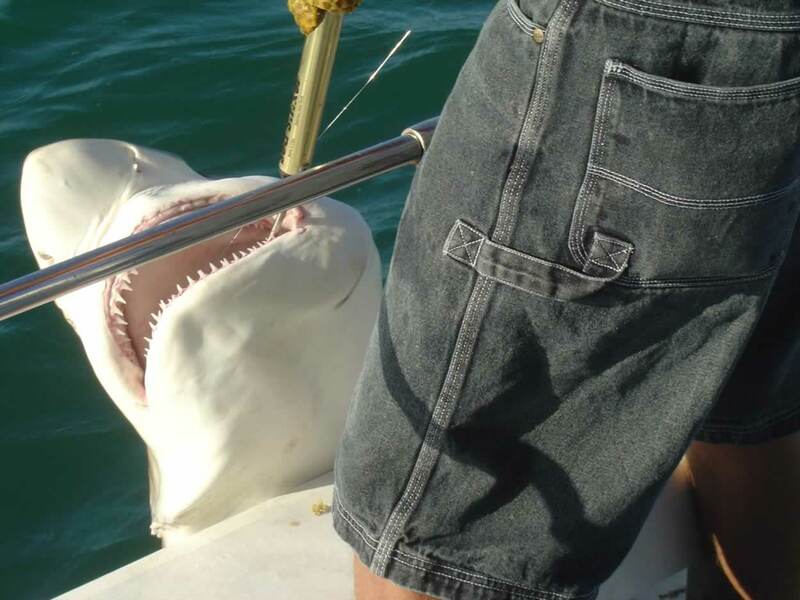 A lot of big sharks are on the beach. 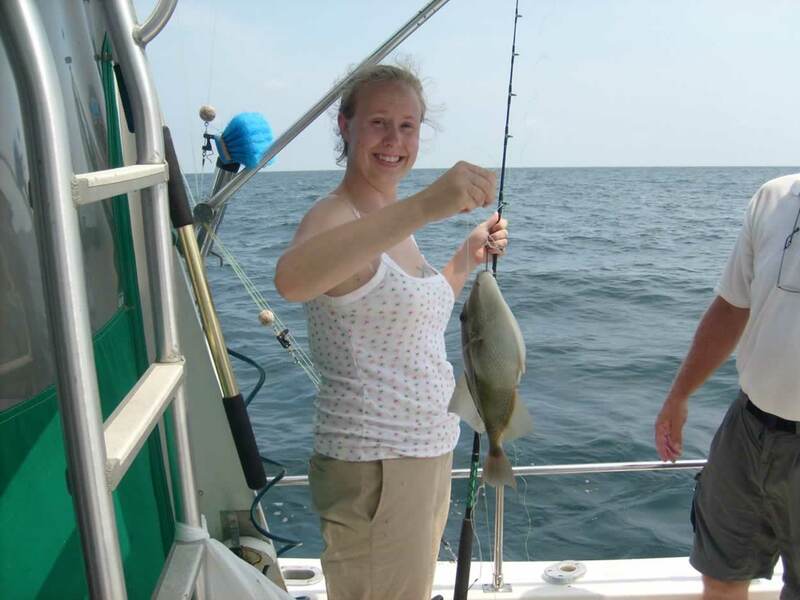 Offshore fishing doing good for snapper and grouper. King are staying out about 25 miles. Spanish are on the beach one day and then they move out about 10 miles. 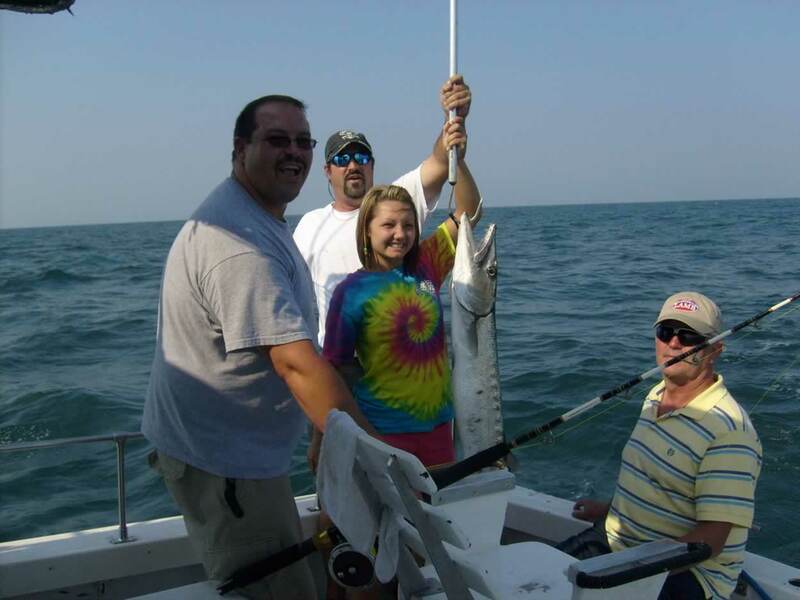 Time to book your Gulf Stream trips for late Sep and Oct- the big wahoo will be back thick. Been catching a lot of snapper and grouper on all day trips inshore on the beach. 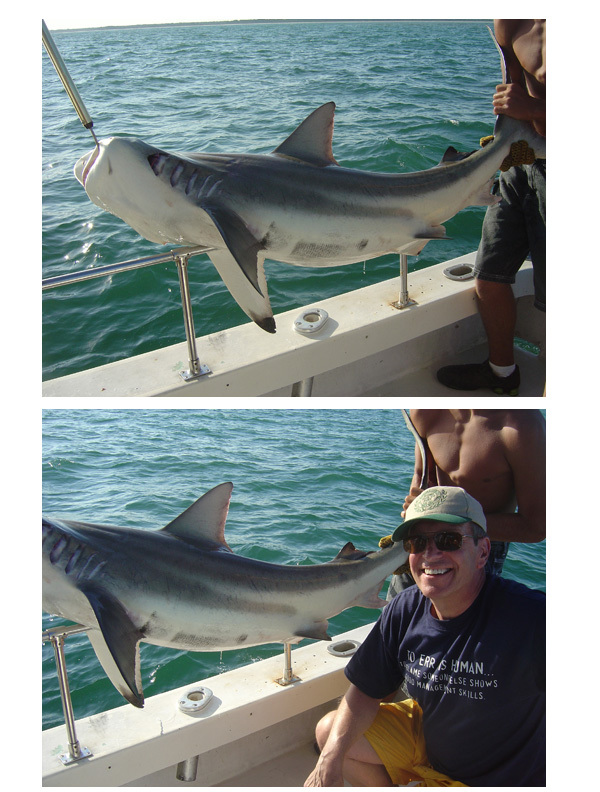 Sharks and spanish mackeral are doing good. 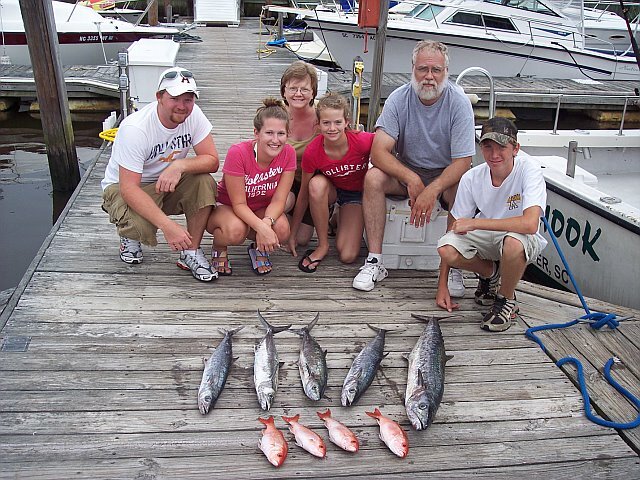 This family had a good catch with the king mackeral on a all day trip to the Gulf Stream. 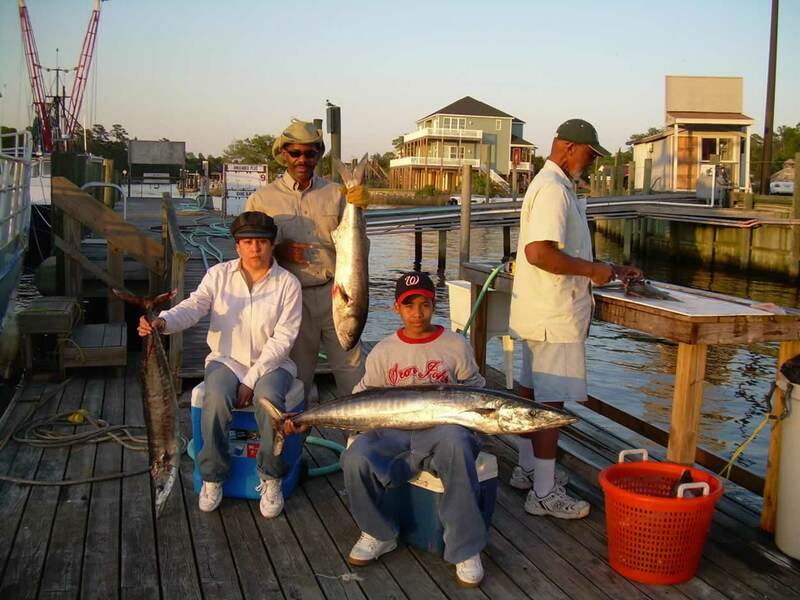 King Mackeral are thick offshore in a 100 plus water. 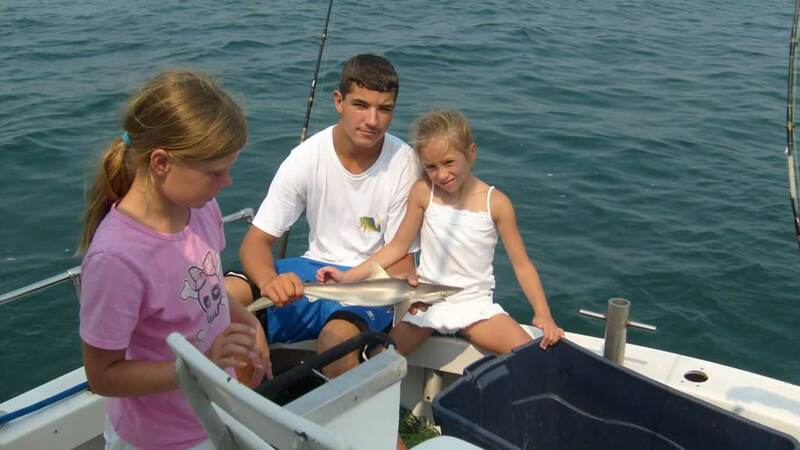 Spanish Mackeral and sharks showing better on the 1/2 day trips for the kids . Last couple of weeks on all day and gulfstream trips, we've been doing really well with snapper and grouper in a 100+ water. On the trolling side, still catching a few dolphin and it seems like all the king mackeral are holding in 90 ft of water. It won't be long before they start moving inshore. On my half day trips, we're catching spanish mackeral and barracudas on the wrecks and sharks on the beach. It's time for the weather to cool down and lower the water temperature which really turns the fish on for the fall fishing season. 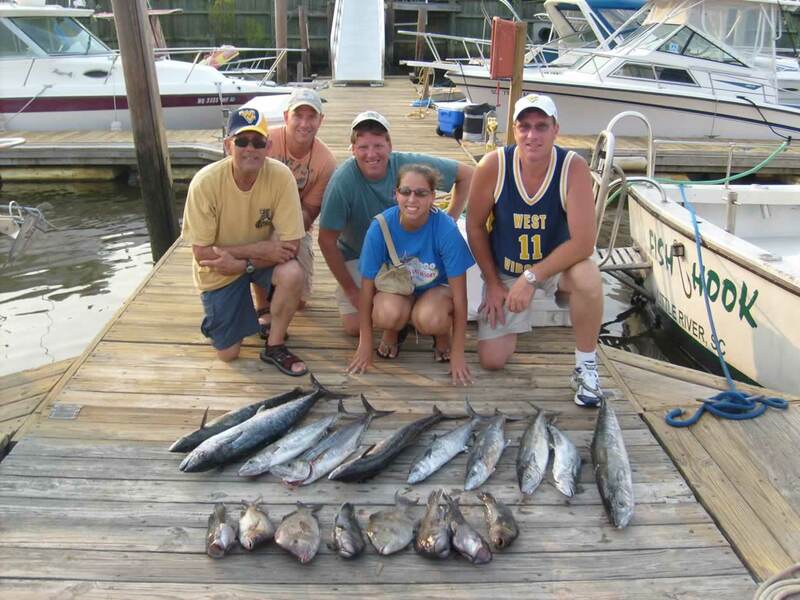 The gulfstream will be turning on soon in October with catches of big wahoo and yellowfin tuna. This family had a great time fishing on a 1/2 day trip with some catches of spanish mackeral and sharks and a barracuda caught and released. 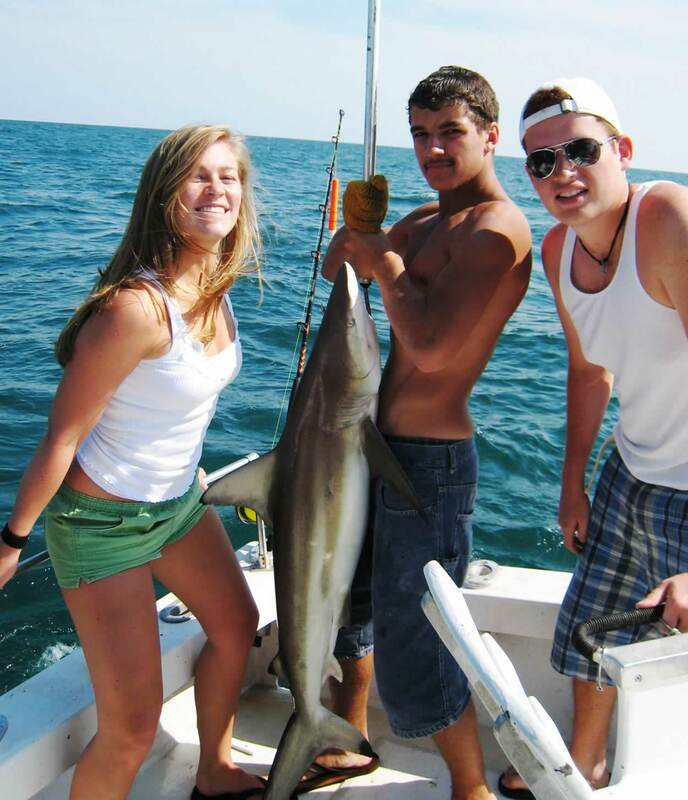 Nice couple, Bryan and Heather from Roanoake, VA, with a nice catch of spanish mackeral and black tip sharks on a half day. 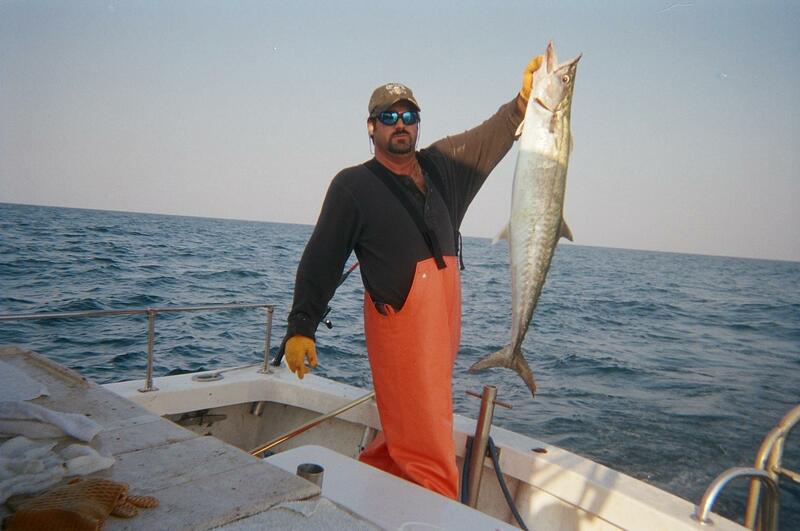 Fishing is turning on wide open now the water temp.is cooling down and the bit is in full swing.The Gulf stream is hot action now to with good catches of wahoo and tuna down to the east. 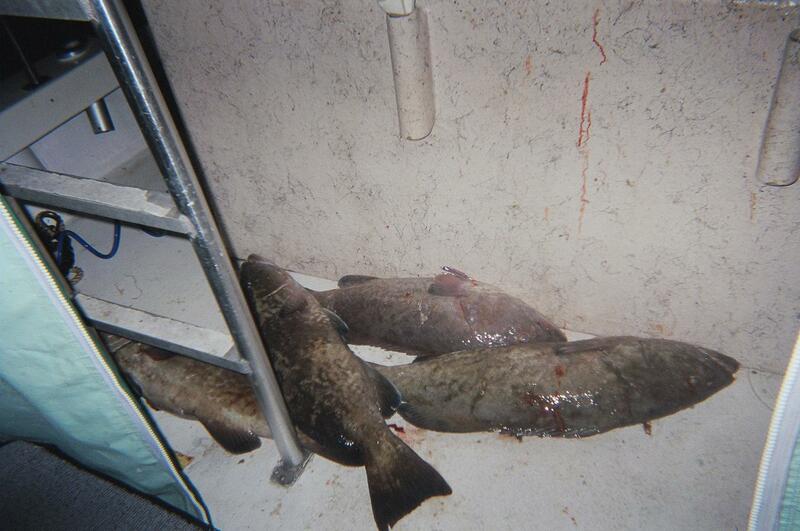 I had a bottom trip Sun for snapper and grouper and we hade our limit of grouper.and released another limit of grouper.I needed more people on the boat to been able to keep them. 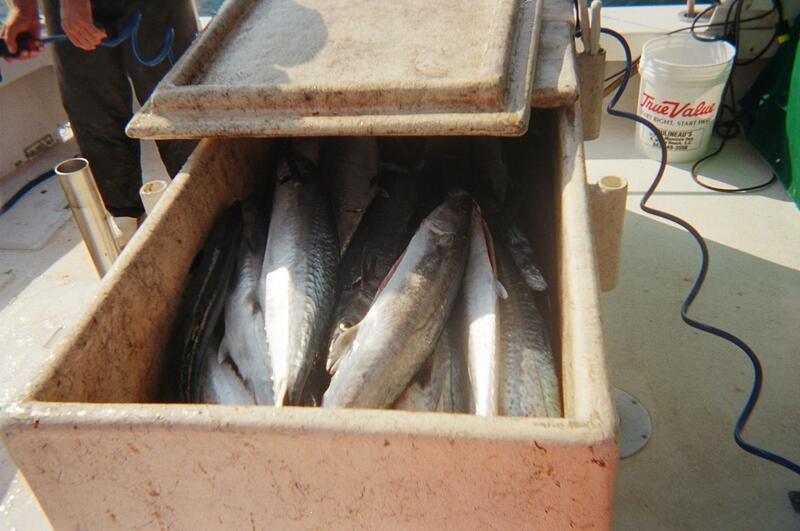 Good trips last 2 days lots of King Mackeral showing up close to the beach. 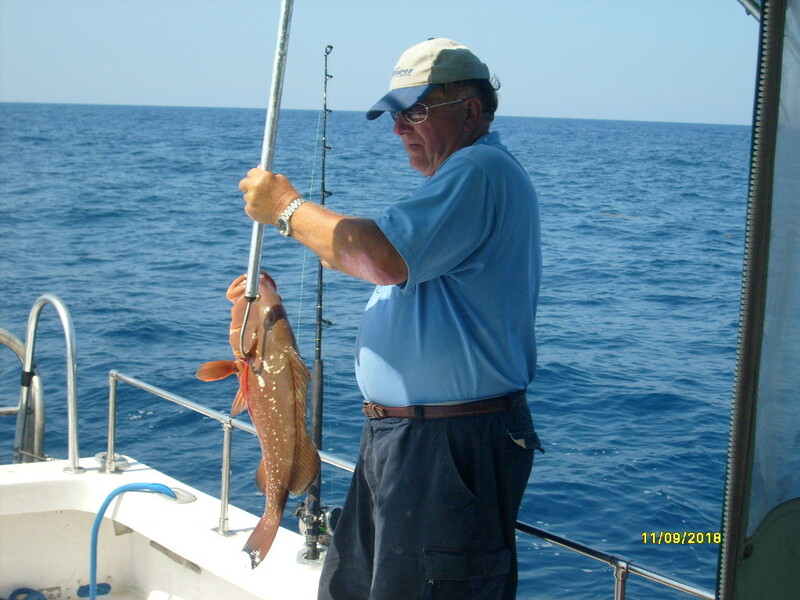 Fishing has been wide open with the King Mackerl and grouper.weather been nice to . 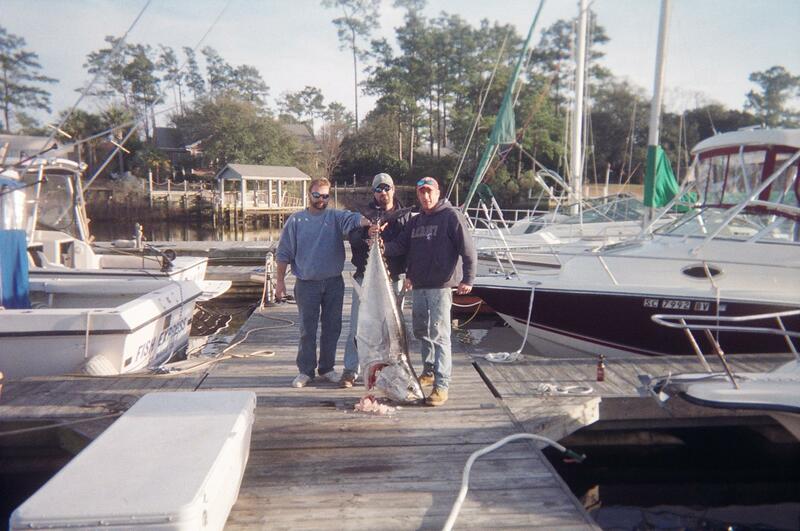 King Mackeral still doing good with big fish all over the place. King Mackeral ocean full of them. Seen a Blue fin tuna over the weekend.start fishing for them neex week.Time to book Blue fin trips for December and January price for trip will $800.00 up to six people.so come on down and catch a fish in the hundread pound class.I have a some weekend open in Jan.
Blue fin are showing up now fish where caught last week in NC. I've been on a commercial trip for the last week. 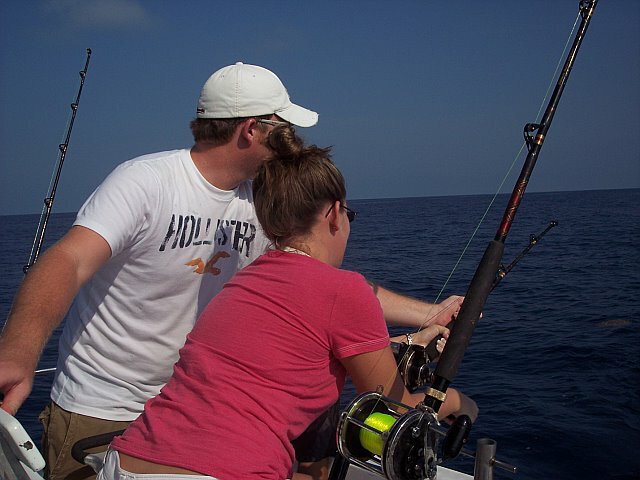 We caught a lot of king mackeral about 50 miles offshore. 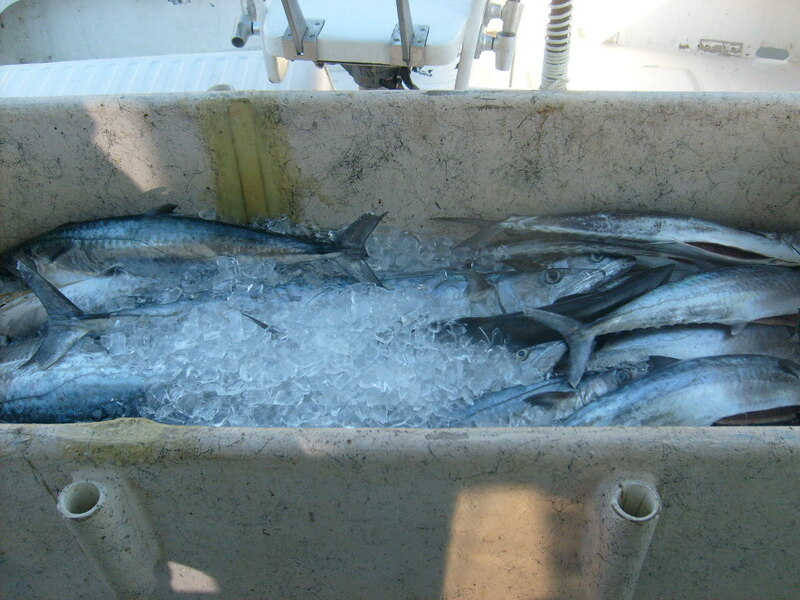 My gulfstream fishing is doing good with wahoo and blackfin tuna. We caught a 54" bluefin tuna up on Frying Pan shoals and a whole lot of monster sharks at nighttime. 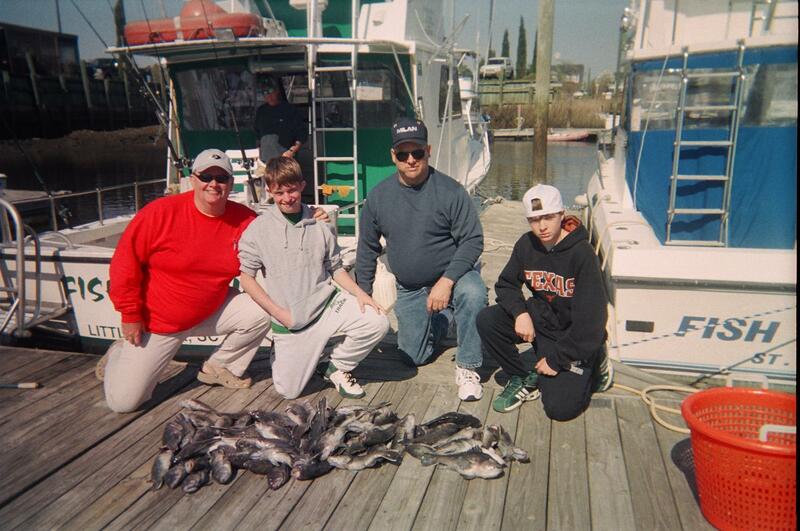 Nice catches of tasty Black Sea Bass caught this week on 1/2 day trips.This groupe from Wisconsion had a great day fishing.with their Dad during Christmas.